The Chinese philosopher Confucius (~500 BC), while not being the author, is generally credited with compiling (from earlier editions) many of China’s literary classics. Including both the ‘Li chi’; Canon of Rites [dealing with cultural/religious rites], and the ‘She-King’; Book of Odes [a book of classical poetry]. Both of which contain various references (some dating as far back as 1,800 BC) to the cultivation and uses of the hemp plant. 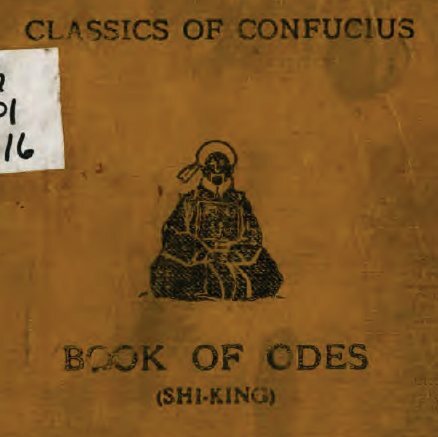 The ‘She King’ or ‘Book of Odes,  --- describes the life of the Chinese people from the 11th to the 6th century BC and discusses hemp cultivation for both fiber and seed. The She King, itself, consists of numerous poems, about beautiful women, lovely flowers etc., many of the poems seem to make mention industrial hemp in one form or another. But exactly who wrote what, when -- no one really knows. It probably has numerous authors; one after the other, each taking poems written by others and than adding too or modifying them to suit his/her own needs. The same can be said of the ‘Book/Canon of Rites’, (also said to have been compiled by Confucius), while dealing with historical religious/cultural rites of the Chinese people. It also contains numerous references to Industrial Hemp and its cultivation. Granted, that no one really knows exactly who wrote what when, however, when added to the archeological evidence it serves to solidify the facts. The Cannabis Plant has been in use by the Chinese peoples for quite some time. - Various copies of the She-King can be freely downloaded via GoogleBooks.com. - An Odes is a song like poem of some kind or another.